The second half of my trip around Belgium and The Netherlands, visiting Antwerp and Rotterdam before flying back to London City airport. The photo gallery for the first half, visiting Brugge, Oostende, Blakenberge and Ghent, is also in the June 2016 folder. Some video from the first half of the trip is here: here. Some video from the second half of the trip is here. A video of my flight home from Rotterdam to London City is here. SNCB/NMBS Class 18 Siemens EuroSprinter no. 1890 with AM86 EMU no. 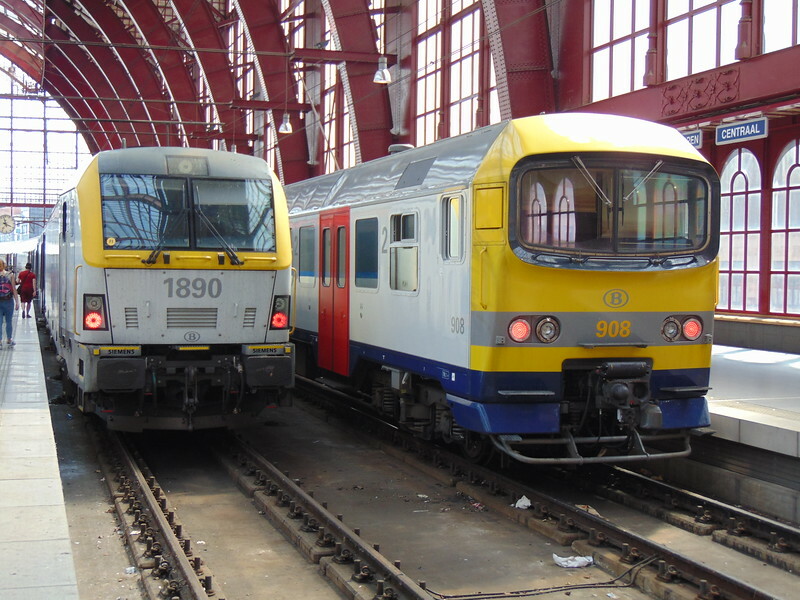 908 at Antwerp Central.